Yes, we do offer volume discounts! Most products have volume discounts online. However, if you are ordering 30 or more of one item, please contact us for a custom quote. 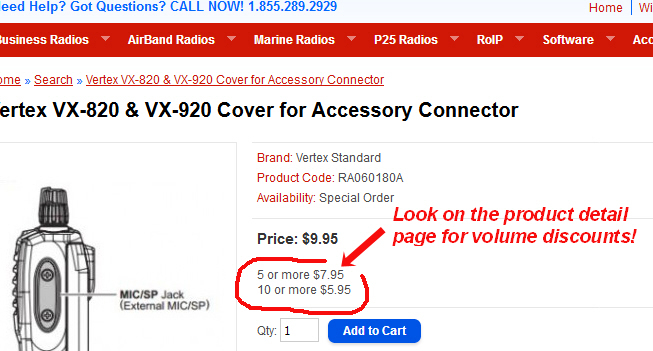 To see the volume discounts click on the Product Title (see picture below). Once on the detailed page you will see the volume discounts (picture below).